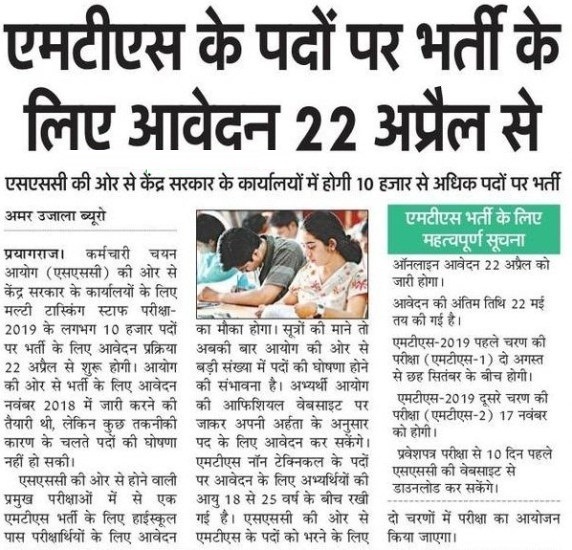 Educational Qualification – Candidates who have passed their Matriculation Level of Examination/Equivalent from recognized Board of India will be considered for this Recruitment. How to Apply for SSC MTS Recruitment Online Form 2019 – Candidates can apply through link provided below or they can also apply through official site of the SSC before 22/May/2019. Mode of Selection for SSC MTS Recruitment Online Form 2019 – Selection will be Based on Computer based Examination (CBE).